Gram negative resistance mechanisms are incredibly complex and applying current scientific knowledge to clinical practice is a major challenge. To provide insights on this topic, a leading infectious diseases pharmacist with significant experience in this field is interviewed. Infections caused by Gram negative bacteria are becoming more challenging to treat as resistance to antibiotics becomes more prevalent. Two documents that identify this problem well are (1) the 2013 antibiotic resistant threats report released by the U.S. Centers for Disease Control and Prevention [available here] and (2) the 2013 update from the Infectious Diseases Society of America on the development of new drugs active against Gram negative bacilli [available here]. The first group are associated with inducible antibiotic resistance (e.g. via the AmpC gene) and are sometimes referred to as the “SPACE organisms” – Serratia spp., Pseudomonas spp., Acinetobacter spp., Citrobacter spp., Enterobacter spp. Genes such as the AmpC gene which the bacteria naturally harbor in their chromosomes is typically not being expressed (i.e. it is repressed). 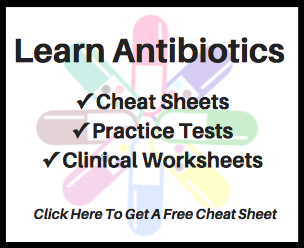 Exposure to antibiotics can cause the AmpC gene to be come expressed (i.e. derepressed). If the de-repression persists it can be called “stable de-repression.” Persistent expression of the AmpC gene (i.e., stable derepression) causes bacteria to be resistant to many of our antibiotics. The second group are associated with acquired antibiotic resistance, which causes the bacteria to produce extended-spectrum beta-lacatamase (ESBL) or carbapenemase (e.g., CRE, KPC). Three important organisms in this second group are Proteus spp., E. coli spp., and Klebsiella spp. In the world of research and clinical practice there is much debate regarding how to identify and manage bacteria with AmpC, ESBL, CRE and KPC. In attempting to understand it all, one must combine patient-specific data from the microbiology laboratory (i.e. culture and sensitivity reports) with data from medical literature. Understandably, given the considerable complexity surrounding this topic, misconceptions and misunderstandings regarding the identification and treatment of Gram negative bacteria are common. Macdougall C. Beyond Susceptible and Resistant, Part I: Treatment of Infections Due to Gram-Negative Organisms With Inducible β-Lactamases. J Pediatr Pharmacol Ther. 2011; 16(1): 23-30. Curello J, MacDougall C. Beyond Susceptible and Resistant, Part II: Treatment of Infections Due to Gram-Negative Organisms Producing Extended-Spectrum β-Lactamases. J Pediatr Pharmacol Ther. 2014; 19(3): 156-64. Narayanan N., Johnson I, MacDougall C. Beyond Susceptible and Resistant, Part III: Treatment of Infections due to Gram-Negative Organisms Producing Carbapenemases. J Pediatr Pharmacol Ther. 2016; 21(2): 110-9. To add to the discussion on identifying and managing antibiotic-resistant Gram negative bacteria, I contacted Dr. MacDougall and requested an interview. The following is the result of our correspondence. 1. What motivated you to pursue composing a 3-part series on inducible beta-lactamases, extended-spectrum beta-lactamases and carbapenemases produced by Gram negative bacteria? LOL… well what made it a 3-part series was me complaining to the editor that I could not write a review of beta-lactamases in just one article! I am not sure that it is good advice for other junior faculty, but it worked out pretty well in this instance and allowed me (and, later, my co-authors) to do an adequate job for each. I thought it was important to try to write a clinically focused review because people often use “shorthand” in discussing beta-lactamases that can frequently lead to misconceptions. They attribute the challenges of treating Enterobacter and Pseudomonas to the “inducible” nature of the beta-lactamases, even though the inducibility really just explains the wild type – because “stable derepression” is a much more challenging concept (and a mouthful). Similarly, “ESBL” is applied (often inaccurately) to all manner of drug-resistant Gram negative bacteria. I think in those cases (as with carbapenemases), the goal is to provide simple rules for non-expert clinicians (e.g., “avoid ceftriaxone for Enterobacter”) when the reality is about weighing risks versus benefits. 2. When it comes to inducible AmpC-mediated resistance are there one or two key circumstances when even though a drug shows sensitive, it should be avoided for treating the infection due to the risk of on-treatment failure? I think the first thing the data shows is that resistance resulting from selection for stably derepressed AmpC-producing isolates is not uniform across the “SPACE” organisms. The risk seems to be substantially higher for Enterobacter and Pseudomonas. In turn, these are the bacteria I am most concerned about. Then the other two factors I include are site of infection and patient status (both severity of illness and immunocompetent state). So, I would say infection at a high-inoculum site (endocarditis, frequently pneumonia or undrainable abscess) in an immunocompromised patient with Pseudomomonas or Enterobacter are those where I am more likely to recommend something other than a cephalosporin or penicillin. On the other end of the spectrum, it is almost certainly overkill to recommend ertapenem for a patient with an Enterobacter UTI. I am also frequently amused by people who swear to avoid ceftriaxone for Enterobacter in all circumstances yet are comfortable using ceftazidime for Pseudomonas in all circumstances, despite the fact the rate of emergence of resistance is similar between the two. 3. In clinical practice the term “AmpC producer” gets tossed around quite a bit, but is it appropriate to conclude an organism is expressing AmpC based solely on a sensitivity profile (i.e., without genetic testing)? Yes, one of my hobbies is “interpretive reading” of antibiograms to guess the resistance mechanism. It is one prone to error, given the possibility of both secondary beta-lactamases and efflux-mediated resistance. I would say a fairly classic profile is an Enterobacter with ceftriaxone and (usually) piperacillin-tazobactam resistance that is cefepime and meropenem/ertapenem-susceptible. I think a phenotype like that is very likely derepressed AmpC (especially with piperacillin-tazobactam resistance making it somewhat less likely to be an ESBL along for the ride). I think that is a reasonable assumption and allows you to risk-stratify treatment, as discussed above. I also think just getting a wild-type Enterobacter asking why it is always going to be ampicillin/sulbactam or cefazolin resistant but not always ceftriaxone resistant is a good way of introducing the difference between the wild-type inducible phenotype and the derepressed phenotype. Anything involving Pseudomonas is a little bit more challenging, because of the effects of efflux pumps. For example, you can see a ceftazidime-susceptible and cefepime-resistant (or more usually intermediate) phenotype that would not make sense with just derepressed AmpC. In this scenario it is likely that there is preferential pumping of cefepime over ceftazidime. 4. What are your thoughts on the use of cefepime versus a carbapenem for extended-spectrum beta-lactamase producing bacteria sensitive to either option? I think it is all about risk stratification, as with using ceftriaxone for Enterobacter. Non-bacteremic UTI? Sure. Bacteremic pneumonia? I would tend to play it safe and use another agent. It is even more challenging with piperacillin-tazobactam vs carbapenem, since piperacillin-tazobactam looks pretty good in vitro as well in most (but not all cohort studies). For piperacillin-tazobactam we may get a more definitive answer in the form of the MERINO trial which is a randomized control trial comparing meropenem vs pipacillin-tazobactam for ESBL bloodstream infection. That trial may have results in 2018. As a side note and of potential interest, there is a Twitter account for the trial! @MerinoTrial So you can make sure to get the results first! To me the bigger issue with cefepime or piperacillin-tazobactam for ESBLs is not whether to use them for definitive therapy – it is when the fear of ESBLs is such that everybody is using carbapenems EMPIRICALLY because of the concern for ESBLs. Again, I find clinicians frequently use “ESBL” incorrectly as a term for “really bad organisms” and throw on all sorts of crazy coverage because of ESBL fears. And that is where I think you need to look at your hospital’s own data to really see how much of an issue it is. For example, in our hospital, piperacillin-tazobactam covers 92% of all Gram negative rod (GNR) isolates vs 97% for meropenem. If you went back and reclassified all the ceftriaxone-resistant E. coli/Klebsiella isolates as piperacillin-tazobactam-resistant (which I would not do, but for the sake of argument), it still covers 83% of all GNRs. Even if you do not believe piperacillin-tazobactamhas any activity against ESBLs, 83% is a pretty good rate of coverage for a lot of infections. So, I worry more about ESBLs driving carbapenem use out of proportion to the scale of the threat – which, of course varies by hospital. 5. When a Gram negative bacteria shows as “intermediate” for cefepime, but “sensitive” to piperacillin-tazobactam or vice versa, when do you (if ever) become skeptical about using the one found to be “sensitive”? This is absolutely a concern, especially when the minimum inhibitory concentrations (MICs) are close. At our hospital we test and report both ciprofloxacin and levofloxacin for GNRs, and you see that causing issues sometimes, especially because the breakpoints are different. So one will be susceptible and one intermediate and it will be like “oh levo is fine! Just don’t use cipro.” Meanwhile, this is really of course just normal testing error in our precision in measuring MICs usually. 6. When you hear about an infection secondary to carbapenem-resistant Enterobacteriaceae, is there one drug that comes to mind first which you hope will be an option for use? We are extremely fortunate [knocks head on wood] to have a relatively low incidence of CRE at our institution. In fact, a lot of our CREs are Enterobacters that do not have KPCs but instead are “home-grown” from derepressed AmpC producers that get flogged with carbapenems to treat infections that really need drainage for cure (I’m looking at you, liver transplant service). So, we tend to have a few more options than with your nasty “East Coast” CREs. However, based on our experience using colistin for multi-drug-resistant (MDR) or extensively-drug-resistant (XDR) Pseudomonas and Acinetobacter, I have to say the first thing I think is when I feel the urge to turn to colistin is (extremely off-label discussion to follow) – “when are the ceftazidime/avibactam sensitivities coming back?” Because our XDR GNRs are less classically KPCs I usually feel it is important to confirm sensitivities instead of just pulling the trigger. So we will often “bridge” those folks with high-dose extended infusion meropenem with colistin – sometimes doing the colistin inhaled if it’s a pneumonia, sometimes throwing on rifampin just for fun and then if they are still alive when the ceftazidime/avibactam (or for Pseudomonas ceftolozane/tazobactam) results are back then switching them to those agents if susceptible. I think that GNR resistance is frequently made simpler than is reasonable for understanding the clinical effects of these mechanisms. “Inducible” resistance is easier to understand that “stable derepression”, but is describing a different phenomenon than what people think. Using “ESBL” to mean “some kind of resistant Gram-negative that I am scared of” does not really help with decision-making. It is a modestly steep learning curve to get a good understanding, but I think it is an important one for infectious diseases pharmacists to attempt. One of the great explainers of this topic is David Livermore from the UK, and I strongly encourage those who want to learn more to search out his papers on Gram-negative resistance. I would like to express my utmost gratitude to Dr. MacDougall for taking time out of his busy schedule to complete this interview and provide valuable perspective on this important topic. Conan MacDougall, PharmD, MAS, BCPS is a Professor of Clinical Pharmacy in the Department of Clinical Pharmacy at the University of California, San Francisco. He provides clinical service to the Infectious Diseases Consult Service at UCSF Medical Center and is co-director of UCSF’s antimicrobial management program. His clinical research interests include the pharmacoepidemiology of antimicrobial use in hospitals and communities and associations between antimicrobial use and resistance. Dr. MacDougall is involved in education at multiple levels at UCSF, serving as co-coordinator of the clinical pharmacy therapeutics course in infectious diseases and oncology, precepting students on the infectious diseases rotation, directing the pharmacy specialty residency in infectious diseases, serving as a member of the school’s Educational Policy Committee, and serving on UCSF’s Committee on Courses of Instruction. His educational interests include development of integrated curricula, incorporation of active learning in the classroom, use of branched-logic case simulations, and student preparation for interprofessional education.